A fantastic way to bring colour and charm to a bare wall, arch, pergola or to cover the Australian ‘back fence’ is to plant climbing roses in the garden. Different varieties have different growth habits so we list some of the best with brief descriptions. Climbing roses produce main canes and side shoots, the main canes are the backbone of a climbing rose, the side shoots produce the flowers. The secret to successful climbers is to train and prune to encourage side shoots. 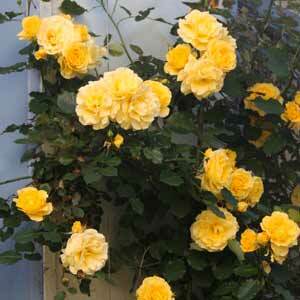 The secret to successful climbing roses is to train and prune to encourage side shoots. Named after the French Poet Pierre de Ronsard, this climbing rose is bred by Meilland a relatively small climber, but lots of flowers over a long period. Flowers are creamy white to pink, large and full (lots of petals). Pierre de Ronsard should be pruned back hard in the winter. Deadhead this rose and in the right climate you will have flowers for 8 – 9 months of the year. Pierre de Ronsard can stand a little shade, but thrives in full sun, mulch to keep the root run cool. Golden yellow flowers, this is a David Austin Rose. Graham Thomas is a repeat blooming, disease resistant rose. Lightly scented and a great climbing rose that copes well in the heat. Another David Austin climbing rose that will grow to 3m as a climber. Large flowers, fragrant, grows 2-3m. Apricot Pink flowers. Disease resistant like most of the David Austin Roses and nice glossy foliage. 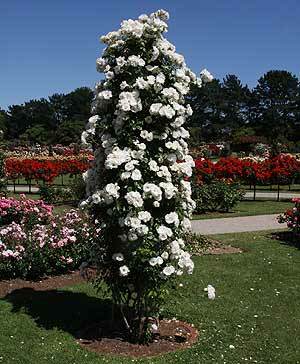 An old fashioned climbing rose that will grow to 2m. Very large pure white flowers, fragrant, repeat blooming, vigorous grower. A Meilland Rose. This is a repeat bloomer, clear yellow flowers, dark green foliage.The substantial flowers seem to last well, its one of our favourite climbing roses and we think the best yellow climbing rose we have seen. Yes its from the breeders of Pierre de Ronsard. Lots of deep red double cup flowers, repeat flowering and a great rose. Long yellow buds and large blooms with a light fragrance. 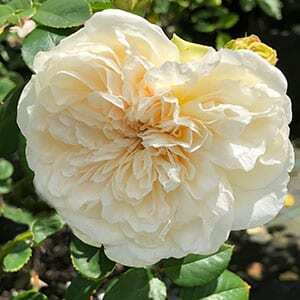 For our UK and US readers go to Roses for the UK orRoses for the USA for suppliers.